Most of us think that cats purr when they are kissed, touched, or happy to receive love from people. In fact, at times of fear, stress, anxiety, medications, and pain, they also purr. And things get worse when cat purring with mouth open. Hard time breathing might be the causes of other health concerns and can have an influence on the health of any cat at any age and of any breed. Seriously, this simple-seeming problem can easily and fast become a life-threatening factor to your cat’s health. Bringing your cute kittens to a veterinarian and have their health checked out right after you see their problems with breathing is not a bad idea. Cat purring with mouth open – Is it a usual behavior? A lot of your cats’ unusual body language, odd habits, and quirky behaviors show their desire for owners’ love or strong feelings people toward them. But cat purring rather loudly with her mouth slightly open is not that case. When cats purr with moth open, it is not a good sign. Many pet owners are having a hard time debating whether to put this question under behavior or health issue. But making it clear that it is not a health concern is much more important. Purring with mouth open might be the most-recognizable behavior that cats have. If he/she breathes through its mouth briefly to catch its breath after few hours playing with chase toys, it is not categorized as an odd behavior. But things are not that simple when they suddenly purr with mouth open without the increase in the room’s temperature or vigorous playing or running time. That’s a sign telling you more about the danger posed to their health. What are the causes of the cat purring with mouth open? Pain, nasopharyngeal polyps, cardiac disease, lung problems, eustachian tubes, chronic renal failure, high body temperature (fever), an enlarged heart with thickened walls, and inflammation found in your cats’ throat may are the cause of their open-mouthed purring. The older your cat is, the more vulnerable they are to a lot of different health issues. And for older cats, dental disease can be a reason for this kind of behavior. By looking into your cat’s mouth, you might also be able to see some of these conditions. What should I do if my cats purr with mouth open? What to do once you hear your cat purring rather loudly with her mouth slightly open? Should you keep observing your cat’s behavior for a while, a day, or a few days or should I take her to a vet office as soon as possible? Let me give you a perfectly logical explanation. If your kittens get out of breath and they have to pant and get their breath back within a minute or two until they are ready to go again after the type of play/hyper session or after playing with you and being taken to chase toys repeatedly, it always seems normal. But without any vigorous playing or running time or any heat increase in the room, there’s something serious happening. And that’s when you need to have an appointment with your cat’s vet right away. If your furry friend hasn't had any check-up for a long time, taking him/her to your vet office and having him/her checked out would not be a bad idea. How is the diagnosis process? It is not exaggerating to say that breathing difficulties are a life-threatening emergency, especially to cat at older ages. That’s why, the sooner you get your cat’s health checked out by a reliable veterinarian, the less danger posed to his health. Don’t hesitate to give a thorough history of your four-legged friend's health, an onset of breathing trouble symptoms, and all possible incidents that might have happened prior to this condition when being asked! Within the health examination, your veterinarian should carefully pay attention to every single behavior of your pets - how they inhale and exhale. Also, your vet will listen to his/her chest to see if there is any sign of a heart murmur, an enlarged heart, a tumor puncturing his lungs, or sometimes fluid in his/her lungs. Also, they will carefully do X rays of the complete airway to see whether there is a constriction to the airway or evaluate your cat's gum color as it is said that the color of the gums shows exactly how effectively oxygen is being delivered to the organs (hypoxemia) as well as indicates whether there is a constriction to the airway, a low red blood cell count (anemia) or not. 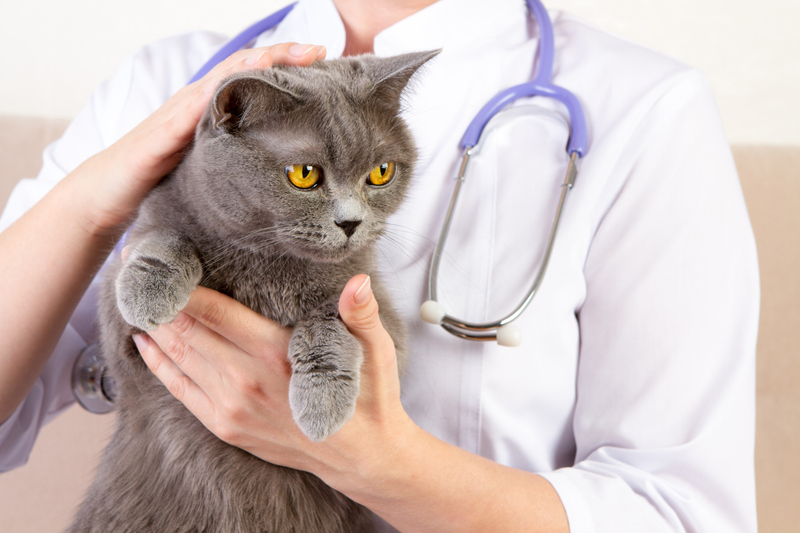 Don’t get crazy if your veterinarian presses on your cat’s windpipe – it’s his/her try to get your cat cough. For any cat which is having a serious breathing trouble, any veterinarian will be more than happy to give them oxygen to help them breathe prior to doing any more health examinations. Expect to be quoted hundreds of dollars excluding tax for an echo. I know how hard it is to say goodbye to your best friend. But you also know how hard she is trying to struggle to breathe. Nobody but you knows your old friend best.